The sun will rise again, the trees will still sprout fruits and flowers, the earth will keep moving about its axis, Pakistan’s defeat to South Africa — a 3-0 whitewash — however horrendous it may sound, is not the end of the world for the Sarfraz Ahmed-led side. As a cricket fan, the three Tests were a treat to watch if you keep your nationalistic tendencies aside for a second. At a time when literature is being written and comments are being made against Test cricket, these three Tests and the India-Australia series should be considered a welcome note for the longest format. Test matches have to reap results in order to stay relevant and as a ‘cricket fan’, the three Tests delivered what was demanded. 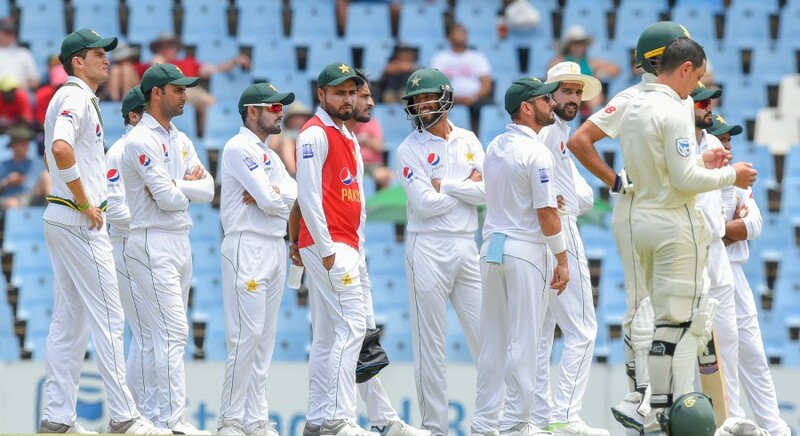 However, this piece is not meant to praise or denigrate the gentlemen’s game and its most pure form, Test cricket; it is about what happened to Pakistan and why Sarfraz, the Pakistan Cricket Board and country’s fans should not bury their heads in their hands. Statistics and numbers never lie, or maybe they do if presented with a wrong context, so let’s first create a context here. Pakistan were the visitors, South Africa were the hosts and the home ground advantage was, is and will always place the hosts in an advantageous position. Next question that may rationally follow is what then? India just beat Australia in the latter’s home ground first time ever in former’s cricketing history. Visitors beat hosts, the argument presented in the previous paragraph nullified. However, it is not that simple. Australia are going through a revamp, morally and systemically. They can and should be considered one of the weakest Baggy Green sides that India ever faced, thus, the argument still stands. So let’s now consider some numbers and go back three years, to 2016, and start from the very same day when Pakistan were whitewashed by South Africa — January 14. It is the Basil D'Oliveira Trophy and England are visiting South Africa in 2016. England whitewash South Africa 2-0. Consider it the first case study in our 55-series long journey till January 14, 2019. Over the course of exactly three years, many countries hosted and many visited each other. Out of those 55 series, a staggering 34 series were won by the hosts — enough evidence to not give Pakistan a hard time after this defeat. The remaining 21 series saw seven draws and 14 victories by the visiting nations. The 14 victories, if seen closely, were bagged by Test heavyweights against lowly-ranked Test-playing nations such as Zimbabwe, West Indies and Ireland. The point here is that if we praise our cricketers for humiliating teams in the UAE, our home away from home, then we should not be upset or surprised if our team suffers the same fate when we travel out of our comfort zone. Win or lose, Pakistan team deserves the credit for at least walking out on those bouncy tracks and facing the vicious pace of the South Africa quartet. It is not as easy as it looks, trust me, ask a batsman near you. But Pakistani batsmen do require work on their technical correctness when it comes to pitches other than the UAE, and our pacers, who we thought would blow South Africa away, need to pull up their socks as well. But that is it. Just remember the sun will rise tomorrow, the birds will still sing their songs in the morning and Pakistan will have one more opportunity to play, and this time probably win a Test series away from the UAE.